Michael Eavis revealed in an interview that Paul McCartney may headline Glastonbury in 2020. Although the dates for next year’s Glastonbury are yet to be confirmed, this year’s edition will take place from 26 to 20 June 2019. During an interview with BBC Somerset, Glastonbury co-creator Michael Eavis let the big news slip that Paul McCartney may be due to headline Glastonbury in 2020. This is the first revelation for the festival’s 50th edition, taking place next year. 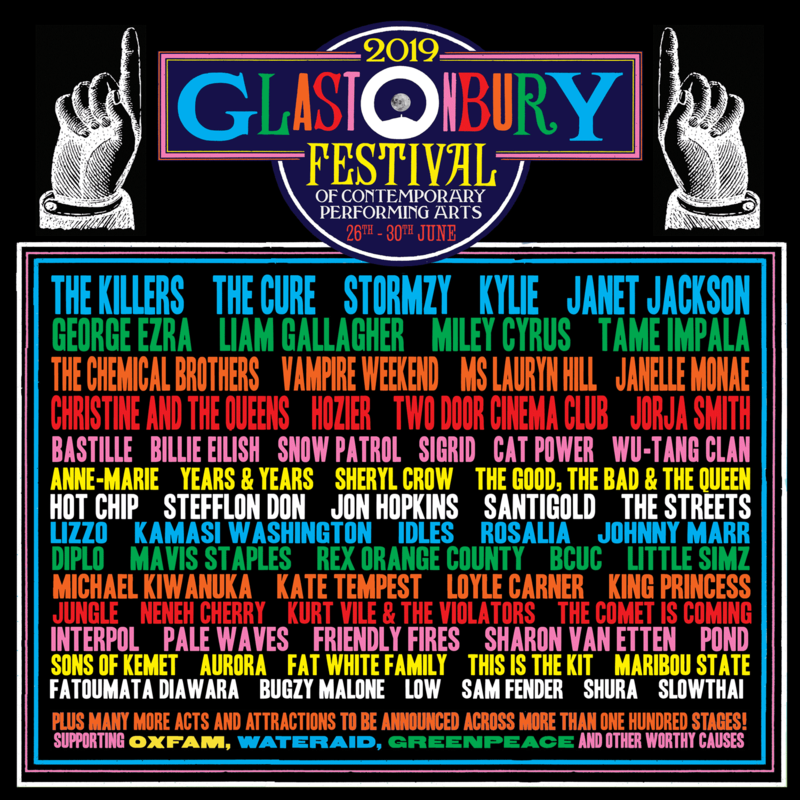 The headliners for this year’s edition of Glastonbury are Kylie, The Killers, The Cure, Janet Jackson and Stormzy. Other big names on the lineup include George Ezra, Liam Gallagher, Miley Cyrus and Tame Impala. Sir James Paul McCartney is a legendary British singer, songwriter, multi-instrumentalist and composer from Liverpool. He became famous around the world with his mythical rock band The Beatles, alongside his bandmates: John Lennon, George Harrison and Ringo Starr. After the Beatles parted ways in 1970, he pursued a long solo career and formed notably the band The Wings. He also took the microphone to promote various international charities. After 61 years of career, McCartney keeps playing incredible gigs around the world, with his best anthems of each decade since the ’60s, including new songs. listen to ‘Come On To Me’ from his newest album Egypt Station. Glastonbury is a five-day festival of contemporary performing arts that takes place in Pilton, Somerset, England. Aside from the performing musical acts, the festival also hosts dance, comedy, theatre, circus acts and other activities. Glastonbury is considered to be the largest greenfield festival in the world, with around 135,000 attendees. It was organised for the first time in 1970 and since 1981, the festival takes place every four out of five years. After a ‘fallow-year’ in 2018, the festival will return in 2019. The English festival occupies an important place on every festival and music lover’s bucket list. Previous headliners include The Who, Foo Fighters, and Arctic Monkeys.